The Philippines looks forward to seeing more Israeli tourists experience the local natural beauty and fun atmosphere in coming months, as the two governments continue to boost tourism to the two countries. Tourism Undersecretary Benito Bengzon Jr. disclosed recently that Israel posted the highest growth in tourist arrivals to the country last year, increasing 42.27 percent YoY to 16,725. Records show that the Philippines welcomed 11,800 tourists from Israel in September, up 34% from the same period in 2015. This means that within three months, almost 5,000 visitors from the island – or an average of 1,641 per month – arrived in the country. The country deems Israel an important tourism market, with it achieving a consistent double-digit growth in the last three years. Usec. Bengzon expressed hope that Israeli arrivals would total 20,000 to 22,000 by the end of 2017. Data from the Department of Tourism (DOT) revealed that the Philippines was only 100,000 short of its 6 million target foreign arrivals in 2016. With more marketing effort, the agency expects to achieve its targets for the year. 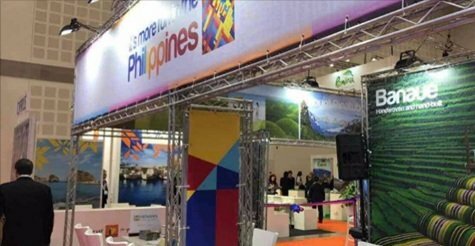 With the Philippine Department of Tourism (DOT) launching recently its repackaged tourism campaign under the Duterte administration – still anchoring on the slogan “It’s More Fun in the Philippines” – Israel will surely be one of the first target areas for promotion. Usec. Bengson said that among Israeli travelers, the Philippines was gaining preference as an emerging tourism destination. The DOT recently joined the 23rd International Mediterranean Tourism Market (IMTM) held last February 7–9 at the TLV Convention Center in Tel Aviv-Yafo, Israel. The IMTM is the largest annual professional tourism fair of its kind in the Eastern Mediterranean, attended by around 25,000 tourism and travel executives. It is safe to attribute the growth in numbers to the Philippines’ efforts in persuading Israeli tourists to discover the country’s gems. Last year, the DOT championed its beautiful islands in a Tel Aviv seminar. The seminar introduced Israel-based travel agencies to the natural wonders of the archipelago, such as the UNESCO heritage sites. In the same year, the signing of a Memorandum of Understanding (MOU) by Israel’s flag carrier EL AL Airlines and the Philippine Airlines (PAL) increased the number of flights between the two countries. It is not just the Philippines, however, that saw an increase in the number of incoming tourists. Israel also reported a 4% increase in arrivals from 2015. With a 27% increment, the Philippines ranked among the countries that registered a massive increase in the number of tourist entries. A fit follow-up to the seminar held in September, the DOT and the Philippine Embassy in Tel Aviv organized a Familiarization Tour. The tour allowed representatives from the six biggest travel agencies in Israel to visit favorite tourism spots in the country. The group consisted of CEOs and managers of Ophir Tours, Ayala Travel and Tours Ltd., Galaxy Tours, Alpha Club-Ganim Tours, and Mona Tours Ltd. According to the Department of Foreign Affairs (DFA), the tour operators visited Bohol, Cebu, and Metro Manila to conduct ocular visits to major hotels, as well as experience snorkeling and dolphin watching, among other activities. The Familiarization Tour is still in line with the nation’s efforts to further boost the number of tourist arrivals from Israel. According to the DFA, it is a step towards establishing a long-term relationship with Israel-based travel agencies, and that it looks forward to working together to promote Philippine tourism.